Do the 'bots have what it takes? Most people's morning routines include checking the weather for their work commute. But for U.S. Navy scientist Gregory Scott, it's all about the weather inside his office. Scott works at the Navy's Laboratory for Autonomous Systems Research, or LASR, a new facility that can create the most extreme weather environments to test the Navy's newest robots. Today, he is working out of a simulated desert in the middle of Washington, D.C., testing a robotic arm that digs for explosive devices in the sand. Tomorrow, he could be testing a robot in the facility's steamy rain forest. "You have to make sure you bring the right clothes for the right day," Scott said. "But otherwise, it's a pretty rewarding experience ... especially knowing we're able to create a better product for our men and women out in the field to keep them safe and support their work." And that's precisely the point. A robot may work just fine in an air-conditioned office. But can it handle the sand, water and fire of real-life wars and rescue operations? The multimillion-dollar facility is designed to build better robots, pumping up the severity of simulated nature to see if they can handle extreme environments. CNN Intelligence Correspondent Suzanne Kelly shows us a new robot that has its sight set on terrorists and criminals. The one pound Recon Scout is a remote controlled robot that can be hurled through window panes and thrown down stairs without breaking. The reconnaissance tool, which is equipped with infrared and audio capabilities, is used by counterterrorism units around the country and by the U.S. military around the world. From the new head of al Qaeda core, Ayman al-Zawahiri, to terror propagandist Ayman al-Awlaki, using the Internet to spread the jihadist message is a tool of the trade for terrorists. In the last six months of 2011, Google agreed to remove some 640 terrorist videos from YouTube at the request of law enforcement officials in the United Kingdom, because the videos violated the company's guidelines. The disclosure was contained in Google's biannual Transparency Report, which provides data on government requests from throughout the world to remove content from Google's YouTube and search websites. Aaron Zelin, who started monitoring jihadist websites in 2002 in Washington, has seen a myriad of propaganda and do-it-yourself terror tricks posted in the form of videos. The problem with trying to take some of the more egregious material off the Internet, said Zelin, is that it has a way of popping right back up again. "In a sense, [it's] a whack-a-mole type of thing where especially activists in the West create 20 or 30 YouTube accounts, and they primarily use one and then if somebody flags, it they just take it down and go to the next one. So it's sort of this cat-and-mouse game that you're playing," said Zelin, a fellow at the Washington Institute for Near East Policy. A Japanese F-2 Fighter Jet built and designed largely by Lockheed Martin, a major US defense contractor. Sales of US defense technology to other countries has surged recently. American arms exporters, in the midst of a defense spending slowdown here in the U.S., are enjoying an increase in overseas sales, according to a new State Department report. 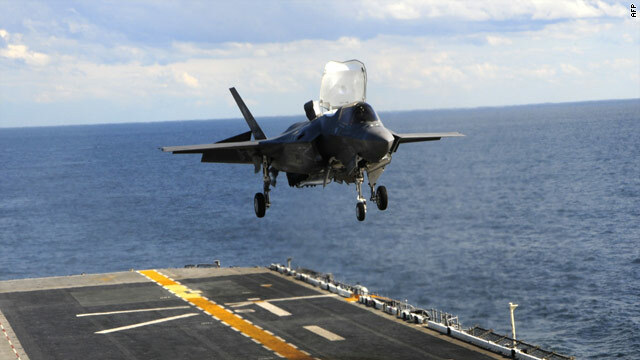 The government authorized the sale of more than $44 billion in military and other U.S. technical hardware in fiscal year 2011, a jump of more than $10 billion over the year before, according to U.S. officials. In order for a company to sell military hardware or sophisticated non-military hardware, like satellites, it must obtain a license for each sale from the State Department. The White House announced Monday that President Barack Obama signed an executive order allowing new sanctions against companies that enable Syria and Iran to use technology such as cell phone monitoring to carry out human rights abuses. 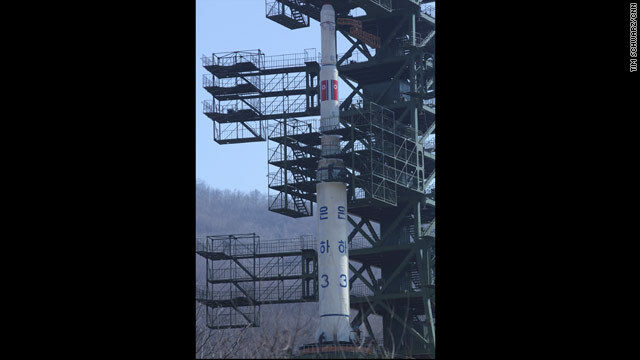 While the Obama administration is urging North Korea not to go ahead with its expected rocket launch, the launch does present one benefit: The U.S. intelligence community will get the rare opportunity to more precisely see just how far North Korea has progressed with its long-range missile technology program since its last launch three years ago. Although North Korea says it is merely deploying an Earth observation satellite, something it has failed at doing in the past, the United States believes the secretive nation is really testing technology that would also enable it to fire a ballistic missile carrying a warhead, one that could potentially strike the United States. But the real question is whether the rocket performs as intended, especially that third stage, which releases the satellite. Key al Qaeda online forums have fallen silent in the past two weeks, leaving terrorism experts to wonder the cause and whether a key communications mode of the terror group and its affiliates has been purposely undermined. The sites, where al Qaeda posts messages and jihadists and wannabe jihadists post messages and discussions regarding their ideology and loyalty, started disappearing on March 23, said Aaron Y. Zelin, a researcher in the Department of Politics at Brandeis University. Zelin also maintains the website Jihadology.net. The outages were first reported by the Washington Post. No entity has claimed responsibility and U.S. officials contacted by CNN would not comment. 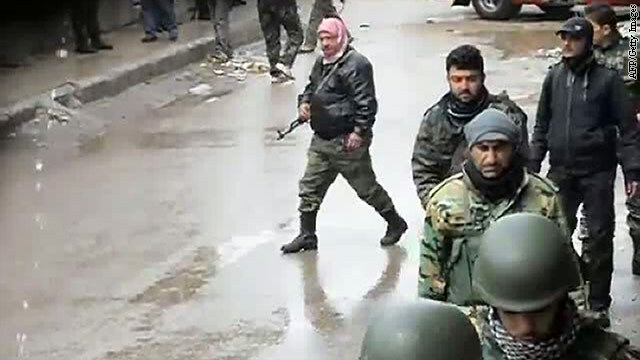 A YouTube video posted by Syrian opposition shows Syrian security forces walking in the town of Kanaker on March 16, 2012. The United States is providing Syrian opposition groups specialized equipment to help the opposition organize and communicate outside of the watchful eye of the regime of President Bashar al-Assad. The equipment comes in addition to the increase in financial contributions that were announced this past weekend. With the uprising in Syria entering its second year, the administration said the communications assistance is needed to supplement the $25 million in humanitarian assistance already pledged. Over at Time's Battleland blog, they are taking a close look at the Reaper and whether it is really the future of warfare. Or, as Mark Thompson puts it, "they’re not always the wonder weapons some believe." 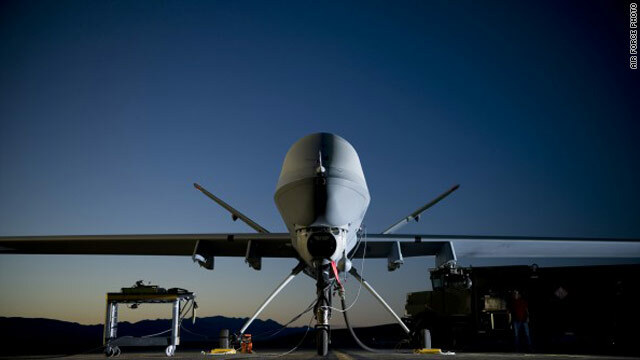 So for the next five days, weapons expert Winslow Wheeler "kicks the tires of the MQ-9 Reaper and, well, finds it lacking." Read the beginning of the series on Battleland. And if that doesn't satisfy your urge for all-things-drone, Foreign Policy has "10 Things You Didn't Know About Drones" including how for all the talk of military use, the civilian use is expanding even faster. The Pentagon spelled out in billions of dollars on Monday precisely how it wants to save nearly half a trillion dollars in defense spending over the next five years, as the Department of Defense and other parts of the American national security apparatus sought to rebalance their books to account for new areas of concern. Beginning this year, the military wants to spend far less on the war in Afghanistan compared with recent years as the U.S. draws down its forces, with an eye on the exit for most by the end of 2014. In 2013, the Department of Defense expects to spend $88 billion on overseas contingency operations, almost all of it on the war in Afghanistan. That's compared with the $115 billion it expects to spend this year.